Acetone is a colorless liquid that's often used as a solvent in the manufacturing of certain plastics. It can also be found in everything from common household products, to personal care products, and cosmetics such as nail polish removers. While it's nauturally produced in humans during metabolism, it's manufactured often as a "blend" for items such as nail polishes, nail polish remover, as well we automotive and furniture finishes. Acetone breaks down nail polish allowing it to be easily removed with a cloth or cotton swab. 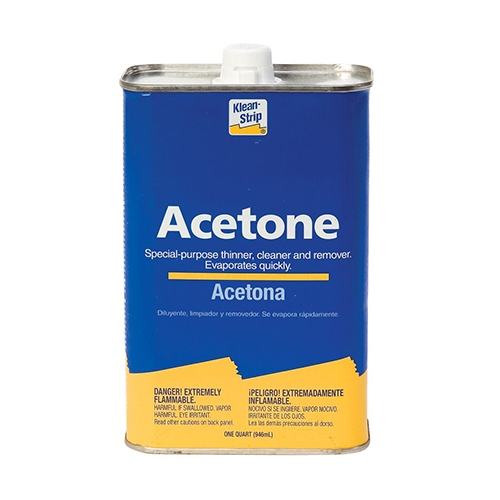 Acetone mixes easily with water and can evaporate quickly in the air. While the U.S. Food and Drug Administration has found acetone to be generally safe, it doesn't come without it's concerns. It's highly flammable, and if inhaled can cause a cough or sore throat.